For children, Saturday did not seem like the leisurely affair as their teachers ushered them into the sprawling Indian Institute of Science (IISc) campus. The institute — the 371-acre lung space where innovation thrives — had thrown its gates open to the public to glimpse the technological wonders brewing in its labs. 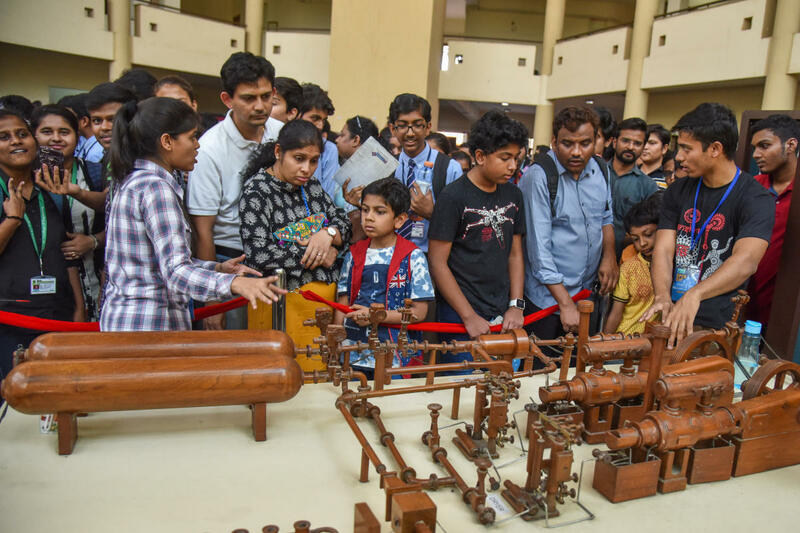 The much-anticipated Open Day at the IISc brought people from cities from other states a few hours from Bengaluru, apart from bringing thousands of local residents. Besides students, the event also lured science enthusiasts. The exchange of ideas and feedback on the researches are regarded as important by the organisers. The event featured lectures, experiment demos, poster presentations, quiz contests, science competitions and exhibitions in various departments. The ‘Kids Zone’ was the main draw for young students where various science and technology demos were on display. “This was something I had been waiting for after my exams. This event gave me clear ideas of the latest innovations that will help my studies,” said Vaibhav M S, a student at Christ Public School, Mysuru, told DH. One of the visitors, Siddeshwara from Chitradurga, said scheduling it in mid- or last week of April would increase its audience. “The SSLC exams are going on. The second PU students, who could be significantly benefited from this event, are busy preparing for the CET,” he said, adding that a day is insufficient to visit all the departments. The segments that lured more visitors included aerospace engineering, robotic science, brain research, ecological sciences, civil engineering and mechanical engineering. The summer heat had made visitors hop on to the e-rickshaws recently introduced on the campus, while some students used the bicycles.